It is well known that China has very strict regulations in place to monitor and control what kind of contents its citizens can access online and what they cannot. Apple’s App Store has been removing a number of apps from its devices in the China region to adhere to the government’s strict censorship rules. When multinational organizations enter the Chinese market, they have to either fall in line with the Chinese government’s directives or they won’t be permitted to carry on business there. Remember the hue and cry at Google upon learning that the company is planning to tweak its search engine to suit the requirements in China? It now emerges that Apple too has its share of censorship issues in China. These are mainly to do with the Chinese government not allowing many apps in the iOS devices’ App Store. Apple is now being accused of keeping these details from the public. There is a dedicated website, AppleCensorship.com, which is engaged in exposing the apps that you cannot open or download if your iPhone or other Apple devices are used in China. GreatFire.org is the organization that has floated this website and it has taken on itself the task of informing the public of what they are missing on Apple devices. 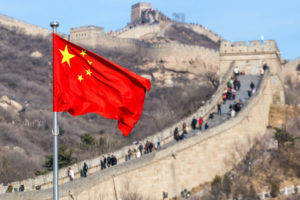 The Chinese government appears to be very keen not to allow its country’s citizens to download and install virtual private networks or VPNs, since that will give the users the freedom to access everything on the internet. The systems on VPNs cannot be detected by the Chinese authorities on their radars. What’s more, the sites visited cannot be traced back either. So, the largest number of apps that the Chinese authorities have asked Apple to remove from the App Store is the VPN apps—and there are 600 of them. Possibly, China allows some VPN operators to provide their service but they may have to agree to turn over all data when requested if they suspect the user of some mischief. China has had two thorny issues which it has been fighting at all levels for decades. One is Taiwan, which is seen as a separate country by most outsiders, but China is firm that it is its own territory and not an independent entity. The other is the issue of Tibet, where the Dalai Lama and his followers want some kind of autonomy from Chinese rule, but the Chinese rulers don’t accept this demand either. The result of this is that any news item or other information relating to Taiwan or Tibet are not allowed to be shared with the Chinese public. An interesting example is the emojis on the iPhones from Apple demonstrating the issue China has with Taiwan. There is a Taiwanese flag in the images of flags that you can pick from in the iPhones. But the moment you choose China as the region your device will be used in, the Taiwanese flag disappears. Obviously, Apple has re-written the codes within its firmware to comply with the commands of the Chinese government. The same goes for anything to do with Tibet. There is an app in the Apple App Store that is run by the Central Tibetan Authority (CTA) and used by the Tibetans, wherever they are, to keep themselves appraised of the various activities going on in the Tibetan region. This is not again to the liking of the government and the authorities in China, and the CTA app has to be removed. Reports indicate that Apple has given out a muted reaction to these reports of its succumbing to the wishes of the Chinese government and keeping its Chinese customers in the dark about what it is up to. These are seen as human rights issues in a narrow sense, and there are many activists who denounce this stand of commercial interests overriding the interests of the people at large. But Apple says it is bound by its corporate philosophy of not flouting any local laws where it is operating. But the question of transparency still remains. That is what this new website AppleCensorship.com is trying to address. The list being posted on this website will reveal the apps that you cannot access with your Apple device, due to the censorship policies of China.